Google Home Mini Hands-On Review: Don’t Believe the Hype! 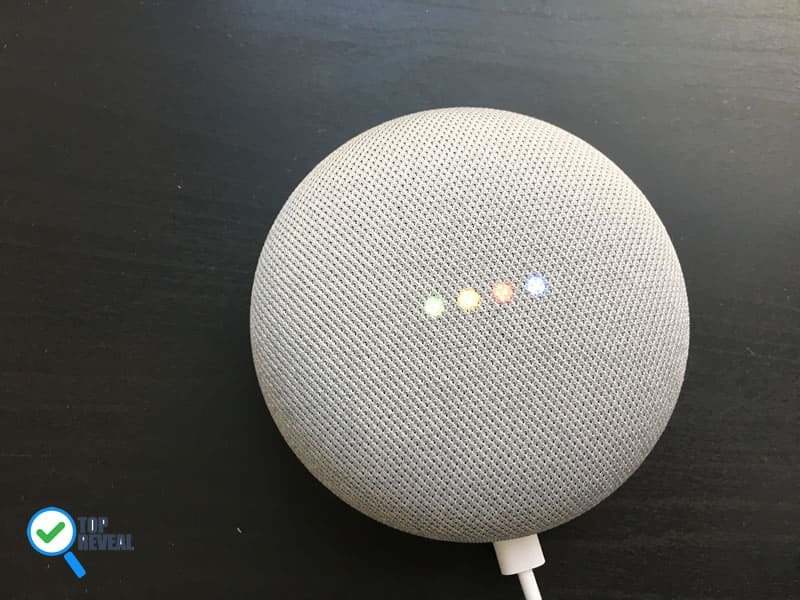 I recently got a Google Home Mini as a gift and as a bit of an electronics junkie, I was beyond excited. I already own an Echo Dot, which I love, and there’s been a lot of hype surrounding the Mini, so I couldn’t wait to open the box and start playing. And boy did I play. 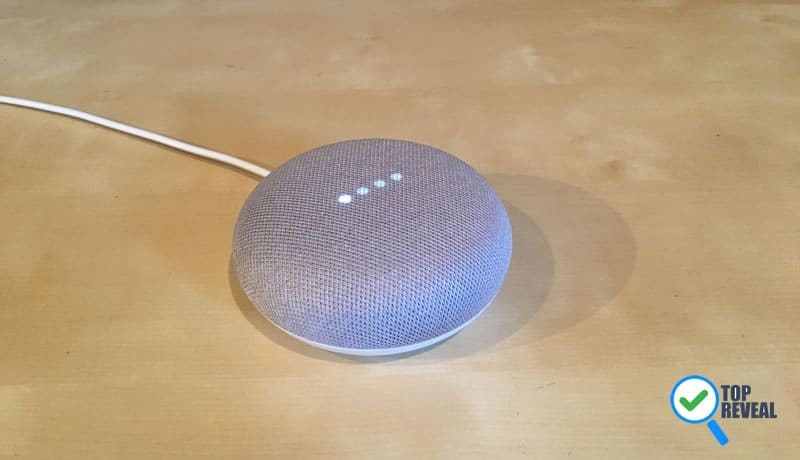 I examined, tested, and had lots of fun with the Mini and now I’m going to share my findings with you in my Google Home Mini hands-on review. No hype, no smoke and mirrors, just the straight up truth so you can see for yourself what this device is all about. The Mini is the smaller, less-pricey version of Google Home and the Echo Dot’s newest competition; it is a smart speaker featuring Google Assitant that can play music, answer questions, shop, control smart devices and even play video over Chromecast. If you were thinking of getting a Home and didn’t want to spend that money this is your best option because it does everything big brother can do. Think of it as the Alexa of the Google world and for under $50 I have to say it did a lot more than I thought; if you use many of Google’s services, it’s a pretty good buy. That being said, it also came up short in some areas, as you’ll soon see. Now, let’s break down it’s design and what it can do to figure out how good it really is. The first thing I noticed about the Mini is the cute design. It’s shaped kind of like a spaceship, as you can see from the picture, and the top has textured fabric that gives it a classy look. It’s about 4 inches across and I like how lightweight it is and the way the sides curve at an angle. As much as I love Alexa, I’m not crazy about the Dot’s hockey-puck look, so kudos to Google. I can put it just about anywhere and it fits in. It can go on a desk, shelf or kitchen counter and it hardly takes up any space. And the bottom part, with the orange rubber, keeps it from skidding. You also get 3 color choices: light gray (above), charcoal and coral red, so you can either match your decor and go one of the grays or make it stand out and pick the red. Personally, if I like the look of the light gray, but that’s just me. The one other design feature I need to mention is a tiny microphone button on the side to turn the mic on or off; not sure why you would want the mic off since that’s how you communicate with the device but you have the option. Plus, the unit is super-sensitive; if I lift it while it’s playing a song the volume will jump up or go really low. A bit annoying, but it could be worse. Set-up for the Mini, if I’m being honest, is a little bit annoying. When you put the unit on 4 lights appear across the top- they are multicolored and then they turn all white and Google asks you to go to the Google Home App to register. You need to download the app and put in basic info, like your WiFi info, home address, Gmail address, and preferences, much like with other devices. However, there are a few extra steps you don’t have to do with your Dot, drawing out the process. For instance, since the Mini has voice recognition you have to speak a few sentences to it so it can know your voice. Not a big deal by any means but still one more step you have to go through. The one thing that was really cool is that when you first register, the app asks you to connect your Walmart account to Google Express; once you do (all you need to give is your Walmart sign-in email) you get a $25 credit for when you shop at Walmart. I ordered a pair of Bluetooth headphones- and had $2 left over! But back to the set-up; you can link your device to Google Play music, your calendar, and more at this point if you want, so Google can figure out your preferences and upload your contacts. The whole process took about 7 minutes and was smooth, just took a bit longer than I expected. I know what you’re thinking- all this is great, but how does it sound and what can it do? Well, in a nutshell, it sounds okay and it can do a lot- but there are some limits and glitches. To turn the Mini on and off you can say, hey Google, ok Google, or tap it to turn it on. Easy enough, but if you forget to say hey or OK and just say Google it doesn’t respond. Yep, another small, but annoying detail. To start, the audio is less than impressive. It has 2 microphones that are always listening (unless you turn them off with the mic button-aha!) and one top speaker, which explains the poor playback quality. If you listen to music with it not only doesn’t it go that loud, but the sound isn’t as crisp as the Dot or other speakers. Now, you could connect it to a larger speaker wirelessly if you are throwing a party or want to blast tunes while you clean, but your choices are, yep, you guessed it, limited. The Mini only works with Chromecast compatible speakers and unlike the Dot, you can’t connect over Bluetooth speaker, although it can function as one for your tablet or phone. Yeah, the Mini is not a Bluetooth speaker, but can act as one when playing back music stored on your phone or elsewhere. You may consider Google Home if you prefer better Audio quality. That being said, I was impressed by how easily the speaker picked up my voice- even from another room with my kids yelling and carrying on. And it understood everything I asked- I rarely had to repeat myself, which, if you have kids, you know is a nice feeling. Overall, it gets a B- for sound. The Mini can call anyone you want and thanks to voice recognition, if you ask it to Call mom it will know to call your mom and not, say, your husbands. It can call anywhere in the U.S. as long as their number is stored in your contacts. But, the feature is not reliable and the sound quality is sketchy. The call seems to go in and out and the person sounds muffled or far away; the people I called complained it was hard to hear on their end as well. Hopefully, Google will work on improving this feature, especially if it wants to compete with the Dot. Just like the Home, the Mini can be used to control smart devices around your house, like light bulbs, thermostats, security cameras and more. You can sync the device easily using the app and I like that you can group devices (like multiple bulbs) under one name to control them simultaneously. On the downside, it isn’t compatible with as many devices as some of the other smart speakers, like the Echo line. But it does work with some of the big names, including the SmartThings hub and Nest Thermostat. The one where the Mini shines is answering questions. Since it uses Google, it can give you detailed answers to just about any question, from how to bake a pie in an elevated area to what the top 5 songs of the year are. And in regards to services, you can order an Uber or a pizza or stream music from iHeart Radio, Pandora and more. Of course, the one place you can’t get music from is Amazon Prime, but if you have the other music services it’s no big loss. If you do a lot with Gmail and their calendar you will appreciate the Mini, as it operates using that system. You can get updates on daily events and ask about events you have schedules. And it can manage multiple calendars for different people in the house. But be warned, it doesn’t work with Google G Suite or work accounts, so you can only access certain information. That is beyond frustrating and makes what should be a main selling feature less than ideal. Overall, the Google Home Mini is a solid device and great for anyone who uses Google’s many services as it integrates easily. It is a great price for a smart speaker and more than gets the job done, but is a bit more hype than substance.